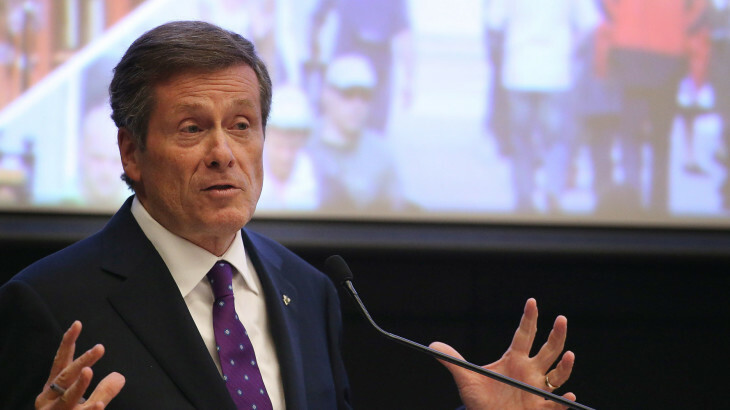 Mayor John Tory has appointed a three-member Advisory Panel chaired by former RBC CEO Gord Nixon to provide recommendations on the City of Toronto’s Event Bidding and Hosting Strategy. The Panel is mandated to consult with members of City Council as they determine the benefits and risks of hosting international events; the scale of events Toronto should consider; the key city-building objectives of pursuing a large-scale hosting opportunity; and what needs to be done to ensure Toronto can win. Mr. Nixon is joined by Civic Action CEO Sevaun Palvetzian and Saad Rafi, who served as CEO of Toronto’s successful Pan and Para-Pan American Games in 2015. The Panel will be supported by the City Manager’s Office, develop a short list of events within a 10-year horizon and report back to the Mayor and all members of City Council by the end of February 2016. Mayor Tory committed to forming an advisory panel in September, after deciding that Toronto would not bid on the 2024 Olympic Games. Gord Nixon is a Canadian business executive and investment banker. He is currently a director of Bell Canada Enterprises and George Weston limited and is on the Advisory Board of Kingsett Capital. Mr. Nixon was the President, CEO and Director of Royal Bank of Canada from 2001 to 2014. Mr. Nixon was named CEO of the year by the Financial Post Business Magazine in 2007. In 2007, he was awarded the Order of Ontario and in 2010, he was appointed a Member of the Order of Canada. Mr. Nixon ahs twice been on Barron’s list of the World’s Best CEOs and has been on Bloomberg’s list of the World’s 50 Most Influential People. including leading the Ontario Place Revitalization project and launching the Youth and New Professional Secretariat – a government-wide strategy to attract and retain future generations of leaders which included launching the award-winning Learn and Work Program for at-risk youth. Prior to her work in government, Ms. Palvetzian held positions at the University of Toronto, the World Bank Group, and Presidential Classroom, a Washington D.C. -based civic education organization. Saad Rafi served as Pan Am Games Chief Executive. He was appointed Deputy Minister of the Ministry of Health and Long-Term Care, effective Feb. 16, 2010 and resigned November 2013. Mr. Rafi was also Deputy Minister of the Ministry of Energy and Infrastructure. Previously, he was National Infrastructure Advisory and Project Finance Practice Leader at Deloitte & Touche LLP. Mr. Rafi formerly served the Ontario Government as the Deputy Minister of Transportation and the Deputy Minister of Community Safety. He was seconded to the Ontario SuperBuild Corporation, Ministry of Finance, as Vice President, Public/Private Partnerships. He has held a number of senior management positions in the Ministry of Transportation, Cabinet Office, and the Ministry of Economic Development, Trade and Tourism.